It was some time ago that the trust invited applications for grants towards pain relief projects and we are delighted to announce that 5 applications were approved, funds have been transferred and your generosity is making a difference to real lives. St. Raphael’s Hospice have benefited with new syringe drivers – Often taken for granted but hugely important in the fight against pain. Shooting Star Chase (Children’s Hospice) have also received new syringe drivers – These include a portable one that will help give the young patients the freedom of movement they deserve. Sam Beare and Woking Hospice have received specialist mattresses – Again sometimes taken for granted, modern air mattresses really do make a difference to the bed ridden in pain. Phyllis Tuckwell’s Complementary Therapies are proven to reduce stress and alleviate pain. Finally 8 of the team at St Catherine’s Hospice have attended an Advanced Pain and Symptom Management course, the benefits of which will be felt by numerous patients for many years to come. In total nearly £28,000 has been paid all funded by your generosity. On behalf of the all the Trustees a huge thank you to all our supporters. It’s Time to Wise Up!! 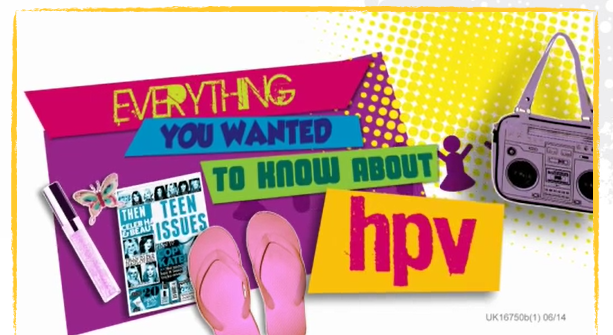 Wise Up is an educational Toolkit with everything you wanted to know about HPV. The Trust were privileged to offer a sneak preview of the Wise Up material at the SNPIG meeting a few weeks ago and we are delighted to announce that the material is now in the public domain and available to assist teachers, school nurses and other healthcare professionals in delivering a clear message about HPV. Please take the time to click image above to view the video and see girls talking about their experiences. Click here to view the full Wise-Up website and access the download material. For information more dedicated to healthcare professionals you might also want to check out the brand new HPV Wise site for even more info and downloads on HPV and the vaccination. Click on the image below. The Trust has engaged with the producers of the material and we are confident that our goal to improve awareness of HPV is being assisted by the campaign. This leaves us in a position to concentrate our efforts on specific campaigns, the first of these will be to target girls who did not take up the vaccination first time around. We look forward to updating you on the results of the focus group on this subject in November. Steps in the Right Direction…. The trust was delighted to input at July’s School Nursing Partnership Implementation Group (SNPIG) meeting. We have been looking for some time now to engage with the right public health teams and to forward the goals directly with those making the decisions in school nursing. Perseverance has finally paid off and having made contact through the PSHE association, we were invited to attend and present at a meeting of the SNPIG group. The group represents numerous public health related bodies with interests particularly in school age children, headed up primarily by the the School and Public Health Nurses Association (SAPHNA). We made some great contacts for the future and were able to show a sneak preview of some exciting new HPV related educational material that’s coming soon. The new material will be a significant step in the right direction with HPV awareness, we will link direct from this site when the ‘Wise Up’ campaign is launched. At the meeting we threw out a challenge to the group to think about ways we might help to promote the vaccine to older girls who for whatever reason did not take up the vaccine at the first asking (typically 15% are in this group). The meeting took the challenge and a focus group is to be setup to pick up on this specific goal. Watch this space and we’ll keep you updated with the campaign launch and the focus group. Emma Bateman on It’s Time to Wise Up! !